Samsung Bixby voice capabilities are now available in the U.S.
Samsung Bixby voice capabilities are now available in the U.S, for users of the Galaxy S8 and S8 Plus. The feature comes after three months since the devices went on sale in the US. Samsung had been testing its Bixby virtual assistant on its home soil, South Korea, for several months before rolling it out to an English speaking region. 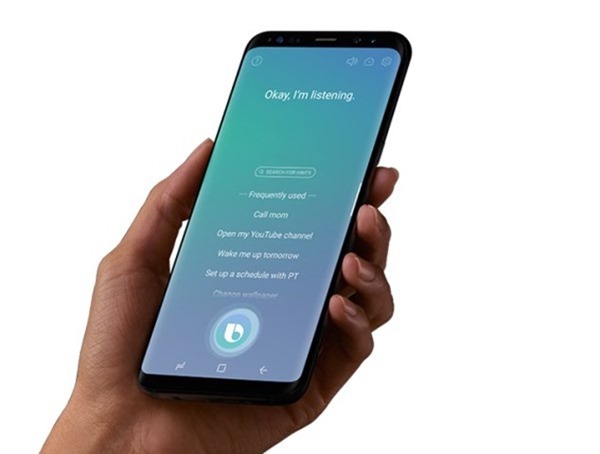 Bixby uses a combination of combination of voice commands and touch, and works with many apps, services and settings . You can use it for simple tasks like sending messages, making calls, taking screenshots, selfies, turning on the flashlight, setting reminders. It can also be used for complex tasks like creating photo albums, and works with Google Maps, Google Play Music, YouTube, Facebook, and many other apps. To use it, press the Bixby button or say "Hi, Bixby" followed by a command like "remember this as my parking spot", or "remind me to call John when I'm home", or "remind me to buy bread at the grocers". Take a look at this video to see what Bixby can do. Bixby uses machine learning to adapt to your usage, and will get better the more you use it. The Bixby update is rolling out to the Samsung Galaxy and S8+ users today for AT&T, Sprint, T-Mobile, Verizon and U.S. Cellular users.